The warning issued is a grim reminder of how this law curtails freedom of speech in a fashion that is eerily reminiscent of the events of the Marcos regime and Martial Law. 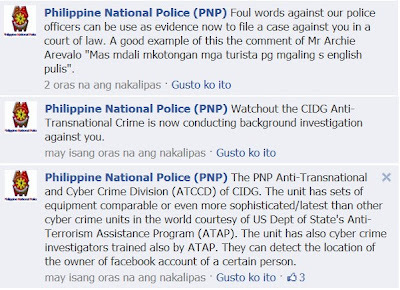 The statement was later taken down following the outrage of netizens and a statement was predictably announced denying the involvement of the PNP on said posts. Meanwhile, two senators moved for the online libel provision to be stricken from the Cybercrime Prevention Act. Senator Teofisto Guinona III opposed the law from the beginning citing that the bill infringes freedom of speech and expression. 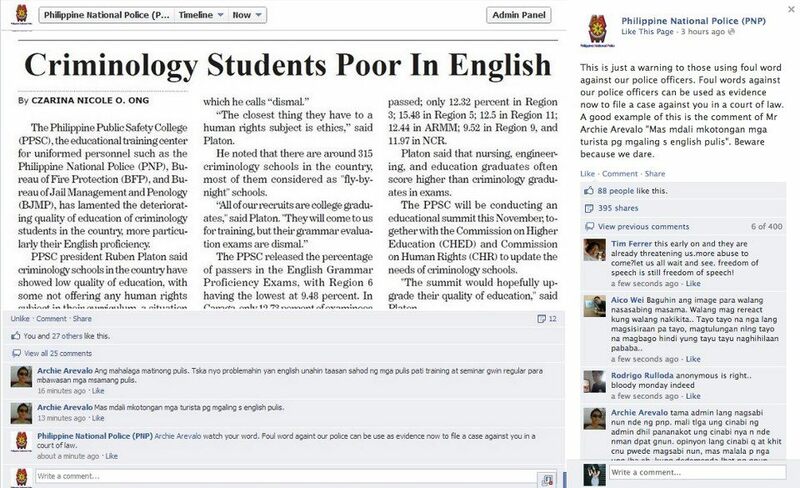 Senator Chiz Escudero, a signatory of the bill, said he did not notice the online libel provision. Escudero said that he will file a law to amend this bill. The libel provision was inserted by Sen. Tito Sotto who was a subject of online criticism for delivering a plagiarized speech on more than one occasion in his defense of his stand against the RH Bill. His office later on shamelessly defended the act by saying that it is a common practice in the Senate anyway. Until this is corrected, and even after it is, here are the names of the Senators who signed this bill. For whether they noticed the inserted provision or not, these people must be held responsible. Besides, what would become of this country if our senators do not even read through and understand life-changing laws before signing and imposing them on the Filipino people. Ironically, this bill was approved by the son of known freedom fighters, Cory and Ninoy Aquino. Shame on you, Mr. President. 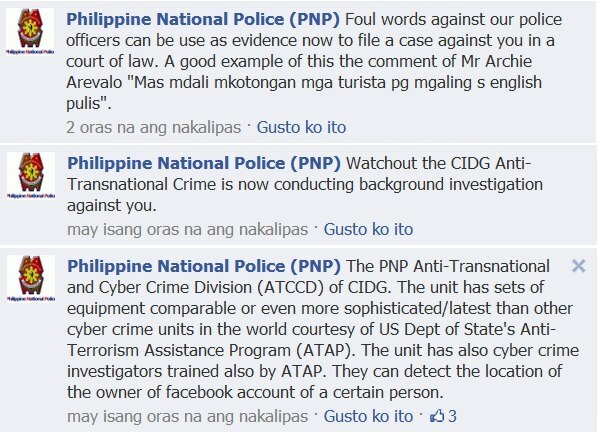 Martial law - cyber style; only in the Philippines.